I spoke with the immensely talented and charming George Blagden about his role as Athelstan on Vikings. 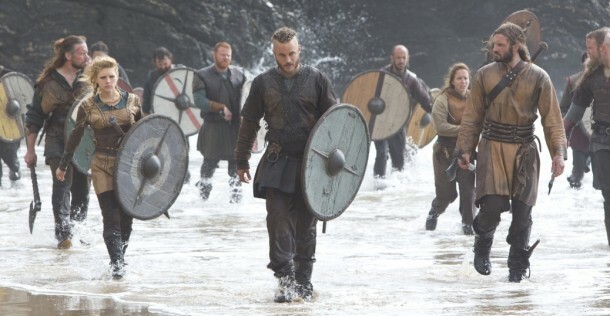 Vikings premieres Sunday night on History. You do not want to miss a single episode of this magnificent series. It was an absolute honor to be able to speak with George and have him share so much about his character and his work on the show with me. He’s truly a delightful and intelligent man that appreciates and deserves all of the support given to him by his fans. 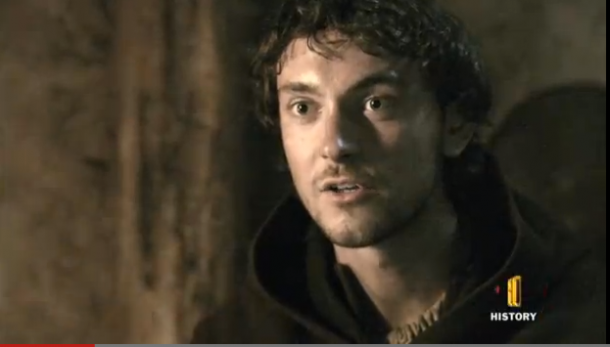 George shines in this series as Athelstan. Do not miss the premiere of Vikings. Lena: You’re having a great year between Les Misérables and now Vikings. George Blagden: I am, thank you. I’ve been extremely lucky and I’ve loved every second of it. Lena: I absolutely love Vikings. I saw the first five episodes and it’s a visually stunning masterpiece. George Blagden: Thank you. You’ve seen more than me. 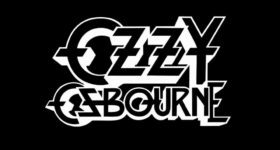 I’ve not seen any of them and I can’t wait. I can’t wait until Sunday. Lena: We don’t get to meet your character, Athelstan, until the end of the second episode but when he finally comes in, and we get to know him, he really adds another level of humanity to the series. George Blagden: Thank you. I think what Michael Hirst was trying to show with Athelstan, what he’s trying to do with Athelstan, is that he really is supposed to be the eyes of the audience. He’s the one character in the piece that the modern western society can relate to, or that they are nearest to, if you like. Hopefully, as the viewers watch more episodes and they discover more about the Vikings culture that they get to learn all the new and exciting things about the Vikings through Athelstan’s eyes. I think he is that kind of audience’s friend. If you’ve seen the first five episodes, I’m sure you’ll agree that there are quite a lot of surprising human aspects to the Vikings that I think a lot of people will be surprised about as well. We really tried to show that the Vikings weren’t this psychopathic race of barbarians, and that they fall in love like we do nowadays. I don’t know. What do you think? Lena: Can you talk about what it’s like to portray such a meaningful character, and what you did to prepare for your role? 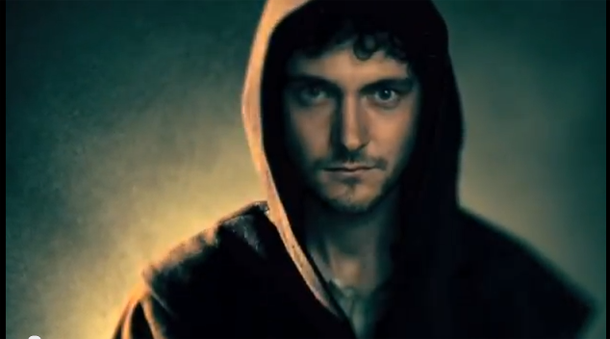 George Blagden: Firstly, I absolutely loved playing Athelstan. He’s such a gift of a character for an actor to play. When you have a character that has such a big arc in the first series, and you only got to see half way through, but the journey that his character goes on is just amazing. To be able to play a character like that by Michael, it is such a gift. You can only have fun with something like that, I think. I think when I first got to Ireland, Michael asked me where I went to school and I said that, “I went to boarding school at age seven.” He said, “That is so perfect for Athelstan. Athelstan has grown up, from as a young boy, in this completely isolated monastery on the island and I want you to bring as much of you as possible to the role.” You know, in comparison to something like Grantaire, which I had just been filming in Les Misérables, which is so far away from me. I’m not a drunken womanizer. [Laughing.] So to be able to come in to a role where the director and writer are saying, you know, really, please just bring yourself to the role; it’s actually quite hard. Sometimes it is easier to play roles that are quite far removed from who you are, and to turn up every day and bring as much of George possible to a role is actually quite challenging and revealing as well. In terms of research, as well, I actually asked if I could go to Lindisfarne and I spent a couple of days in our pre-production weeks on the island and it’s amazing if you’ve not been, the landscape, and it really is a mile out to sea. It’s very similar to The Woman in Black with Daniel Radcliffe. It’s just one of the islands that you can only get to across these mud flaps with a causeway so when the tide goes out you have to rush across the mud flaps so you can drive across them. In 793 AD, these monks would have to wait until the tide starts going out and then peg it across to this island and people would often drown. It was a very dangerous place to get to and once you were there it was very isolating. Just being there and soaking up the atmosphere was quite exciting and I think it helped a lot with that initial raid that we filmed in episode two, that terrifying life-changing raid for Athelstan. Lena: Did you actually shave your head? George Blagden: I did actually shave my head. [Laughing.] To be honest, I would not have had it any other way. Beforehand, it was quite a daunting thing to think about, having to shave the top of your head. Actually, as soon as I had it done I immediately started noticing the result of it. I remember coming back to London, after I had the haircut, and walking around and young guys would walk past in groups and would shout at me, “ Alright mate, you look like an absolute dickhead.” [Laughing.] I kind of thought that they don’t know that I’m an actor and that I’ve had this done for a role. I could have been recovering from brain surgery or something. It was, kind of, really useful when we started filming all of the sequences where Athelstan is brought into this Viking culture because everyone starts laughing at him and at his appearance. I was actually getting to experience that as George in London or Dublin, you know. [Laughing.] It was really great having it done for real. It really helped with the character. Lena: I was wondering about that because you can see stubble growing in and I didn’t think it was some kind of hairpiece (or a lack of) but I figured I would ask. Way to commit. Lena: I’ve heard that Travis is a prankster so can you share a funny story from the set? George Blagden: Oh, yeah. He’s amazing, Mr. Fimmel. We love Mr. Fimmel. Lena: Did you get to keep the leash? George Blagden: [Laughing.] You know, I didn’t actually. I really wish I could but they are kind of quite tight on being able to keep stuff because on any kind of set in episodic television where you would want to keep stuff Vikings was the one. I mean, if we started saying I want to keep that for a souvenir axes would be gone, swords would be gone. Could you imagine them allowing you to keep props on the Vikings set? Everything would disappear. [Laughing.] It’s all so cool. I was glad to get that rope off. It didn’t feel great being on a rope. Lena: What was your experience like filming the scenes on the boat? George Blagden: I don’t know what everyone else has said but the boat was actually built in Eastern Europe the way that the Vikings would have built it. You could not get more authentic. It was shipped to Ireland in our first month of filming. No one really knew if it would work. [Laughing.] Genuinely, in the scene where they fill this boat and set sail and you see Floki (Gustaf Skarsgård) get overly excited because his boat actually works, that was for real. It had never been on water before so you didn’t know whether it was actually going to float or not. It really did and then some. It was amazing. 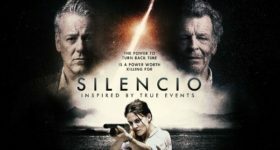 I remember standing on the pier in Loch Dan in the Wicklow Mountains and getting on to this boat and sailing off and thinking, I remember thinking back to when I was fifteen, or something, when Pirates of the Caribbean came out and I just remember seeing scenes and thinking if I could get to film something where I’m on a pier getting on to a boat sailing out to the sea… I just stood there thinking oh my god; I’m getting on a Viking ship and sailing down a lake. It’s just amazing. It’s a boy’s dream really. Lena: Were there any injuries? George Blagden: Some of the filming, they put the boat in a green screen studio on like, I’ve forgotten what they call it, it’s like a simulator kind of arm thing that can make the boat rock from side-to-side and forward and back. I don’t know if any of the other cast members talked about it but they had these big, kind of, water cannons above it that would spray the boat and we would all get drenched. I don’t think anyone got injured but quite a few people may have lost all of the feeling in all of their fingers and toes. [Laughing.] It was freezing. It was just a lot of fun really. I just love all that stuff. I love it. It was like a Disneyland ride for me. Lena: Was that one of the most enjoyable parts of filming the show? George Blagden: Yeah, one of the most enjoyable parts is one that I’m not allowed to tell you about I just realized, sorry. Towards the end of the series there is a lot of kind of exciting adventures that go on and I think for Athelstan he really is sort of the slave and the outsider towards the start of the series but by the end he gets to have a bit more fun, shall we say. Maybe come back and ask me again in a month or something? [Laughing.] You can come back and ask me the same question. Lena: I do really love what they do with your character because he starts off as the outsider and then we discover that there is some common ground. Lena: Yes! You guys did an amazing job. I really can’t talk up the series enough.